The Riverview Room, as its name implies, features a spectacular view of the Mississippi River. This Baton Rouge couple's ceremony took place at the nearby St. Louis Cathedral, and this venue's location in the Jackson Brewery building right across the street makes it a natural and convenient reception choice for Cathedral or Jackson Square weddings. Pat O's on the River and The Jaxson, also located in this building, are other great choices. 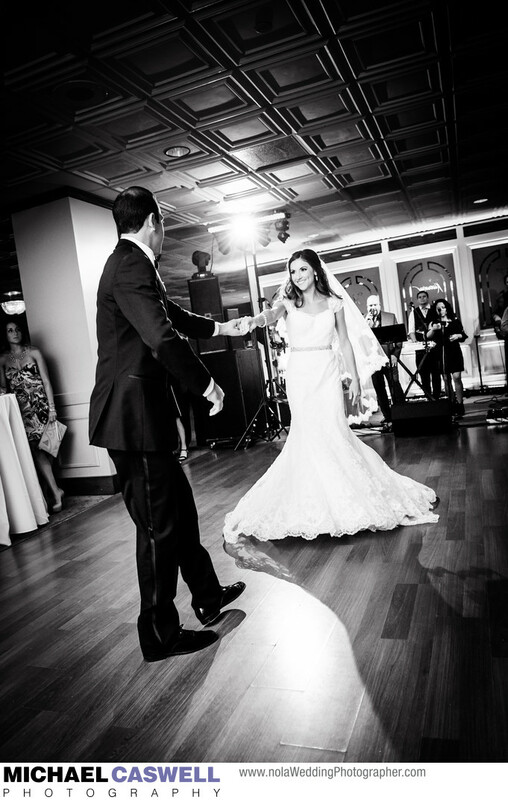 In this photograph, the bride and groom have their first dance as the fantastic New Orleans wedding band Groovy 7 performs. Leslie Campbell was the coordinator for this event.